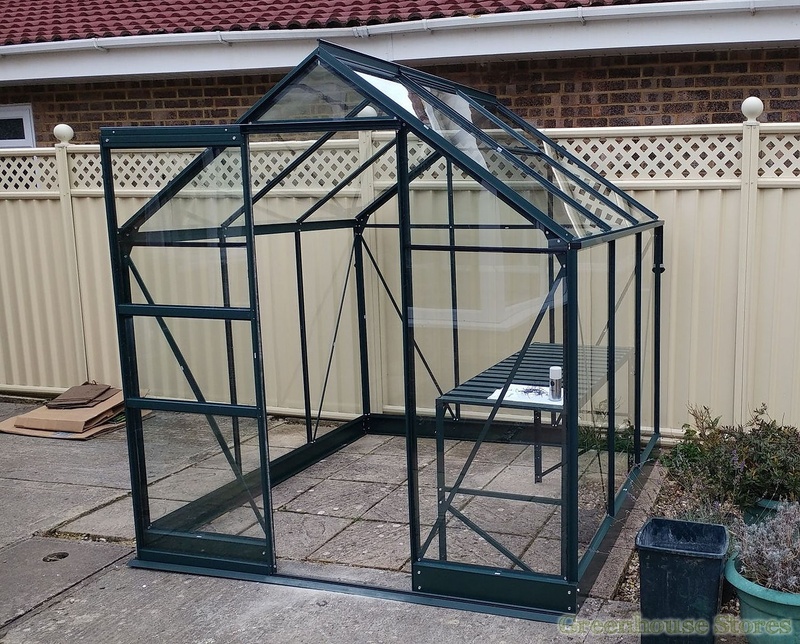 1930mm (6ft 4") Wide Greenhouse - Perfect size for most gardens. 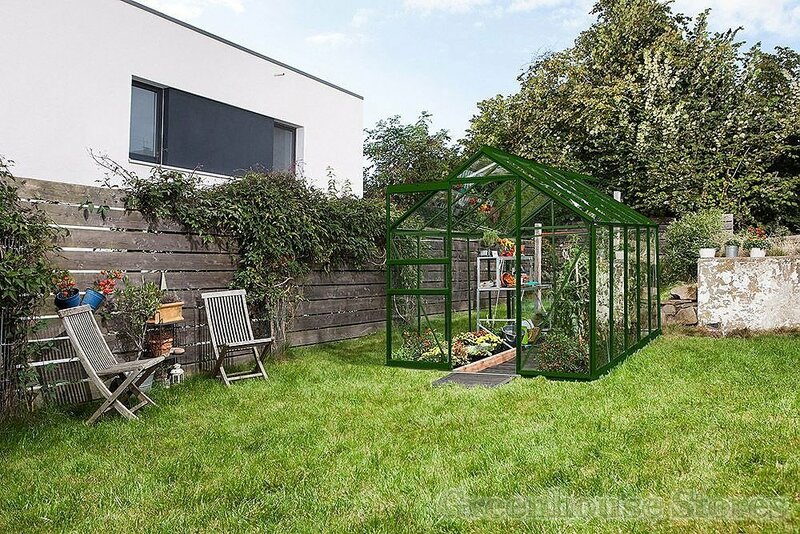 3mm Toughened Glazing - Full Length Toughened Safety Glass. 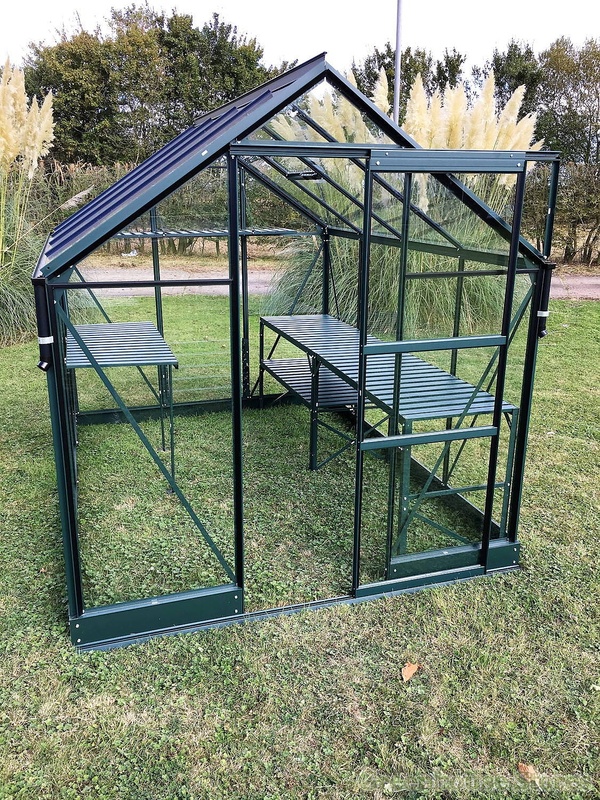 Green Aluminum Frame - Powder Coated. Integral Base Plinth - Low threshold entry point. 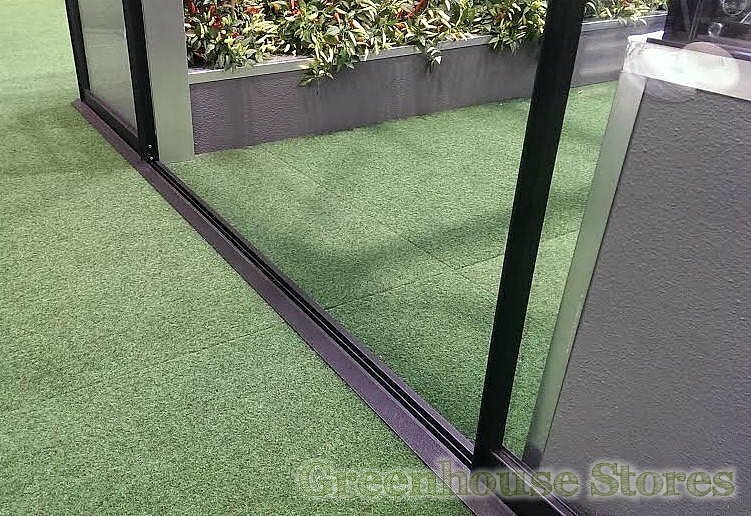 Single Sliding Door - Can be positioned left or right. Base Corner Posts - For anchoring into soft ground. 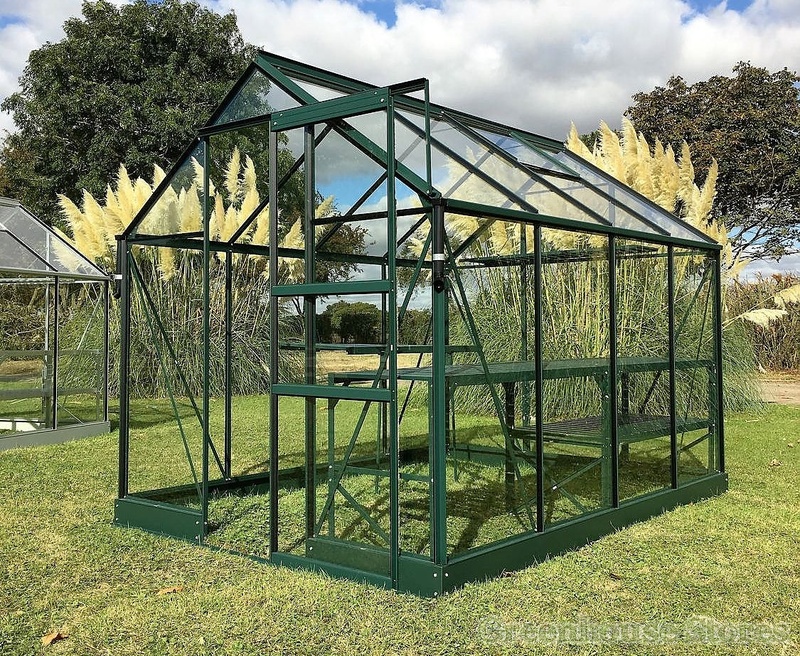 2 Opening Roof Vents - To let hot air escape. 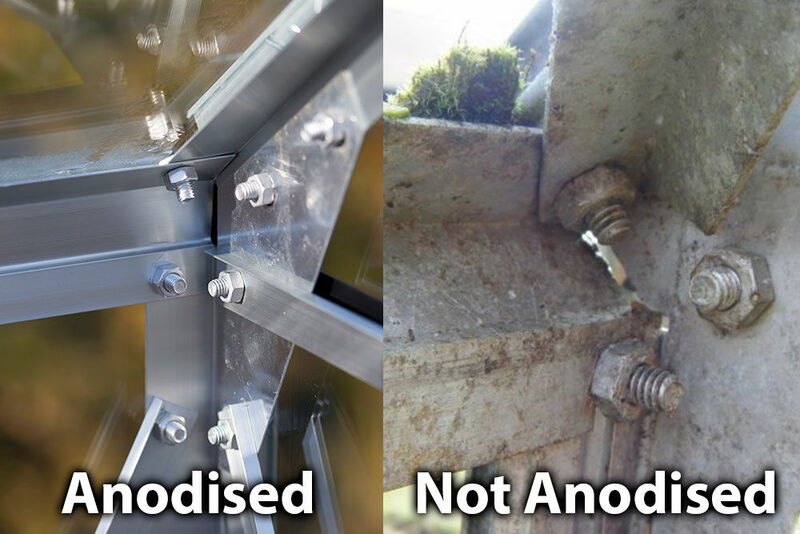 Steel Bracing - Stiffness in both roof and corners. 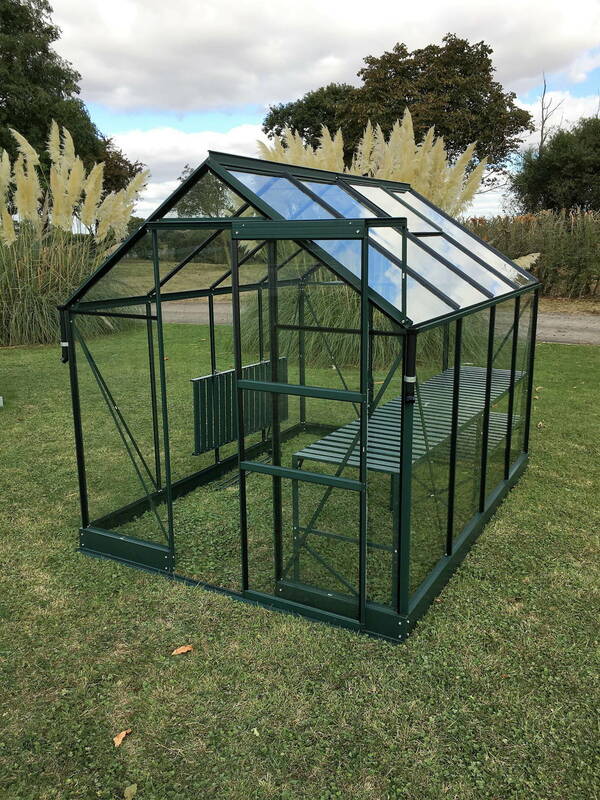 10 Year Manufacturers Warranty - Covering frame and base. 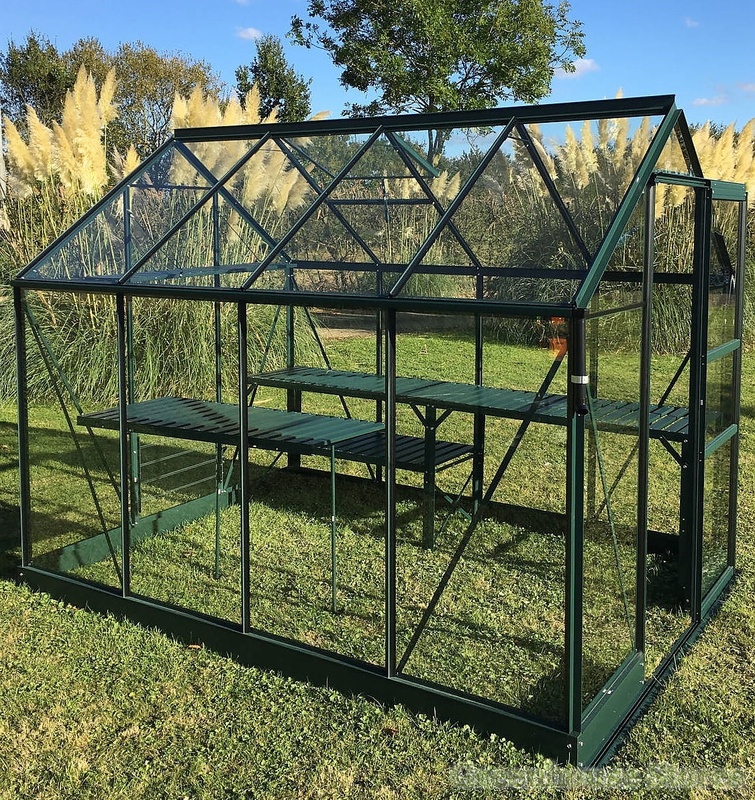 The Vitavia Apollo Green 6x12 Greenhouse with toughened glass has a large growing area of 7.5m2, plenty of space for your staging and taller plants, like tomatoes! 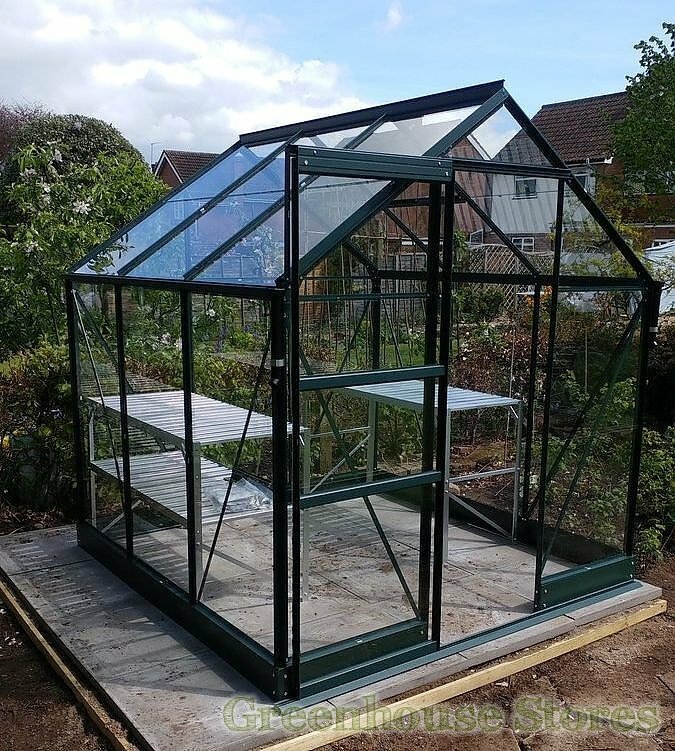 Toughened Safety Glass gives the greenhouse extra strength, as it’s full length giving added rigidity. 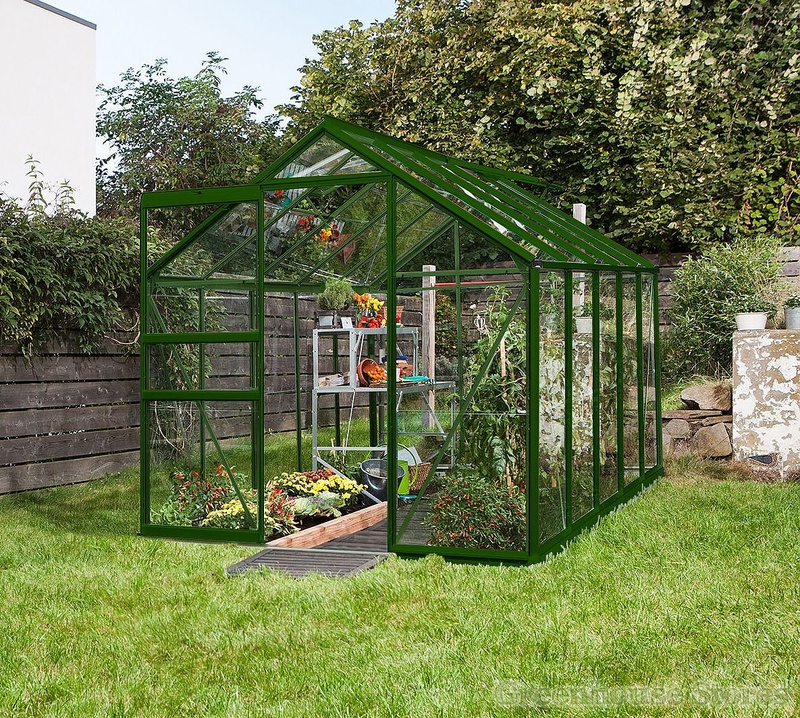 We recommend toughened glazing for windy locations and environments where safety is a concern. 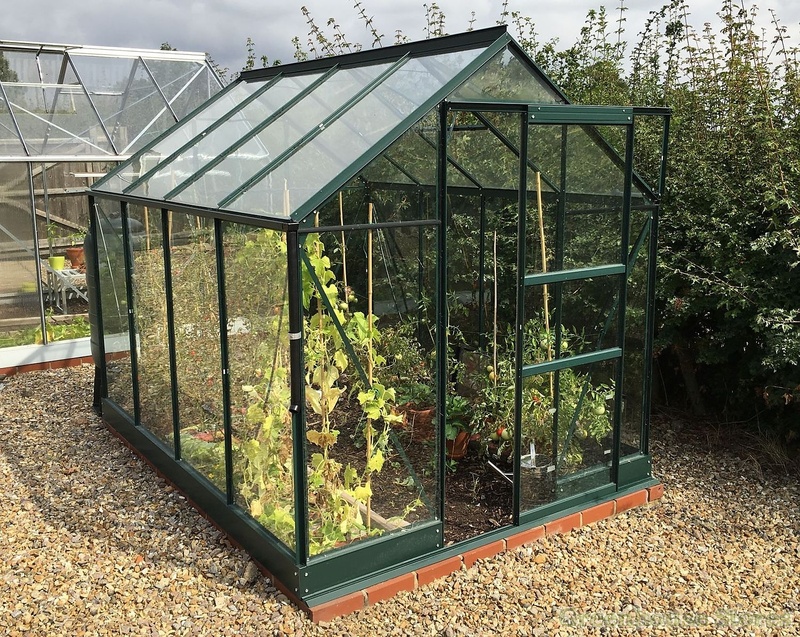 If toughened glass does break, it smashes into tiny little harmless pebbles rather than long shards like standard greenhouse glass. 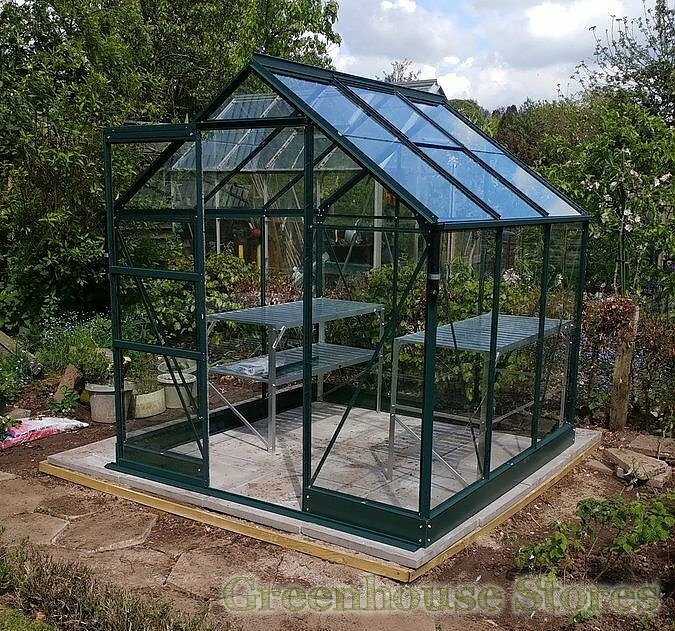 This green Apollo 7500 6ft x 12ft model has 2 opening roof vents for ventilation, a single sliding door that can be fitted to slide left or right and integral gutters.